In UKC Nite Hunts, coonhounds test their ability to quickly and accurately trail a raccoon. UKC Nite Hunts are exciting events for coonhounds, as the dogs compete to find and follow the trail of wild raccoons until their game is in a tree. A winner is determined through points for speed and accuracy. Another event offered to Coonhounds, is the Bench Show. 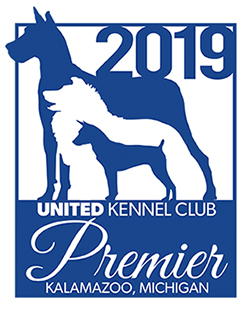 A judge evaluates each dog compared to the breed’s ideal (known as the Breed Standard), and awards the dog with the best structure and movement. Other events include Water Races and Field Trials, where a group of hounds follow a set scent trail or lure in a thrilling race over water and land. Licensed Hunt Tests give trained hounds the opportunity to test their abilities against a basic hunting performance standard. With UKC's Youth Education Program (YEP!) and Youth Championship Series, there's plenty for the whole family to do. From Nite Hunts to Bench Shows, there's a wide variety to choose from in the Coonhound sport! After competing in one of the many Coonhound events, scores and results can be found on our Standings page.